Projects are available for master and undergraduate students who are intereted in high performance computing and big data analytics. If you are interested in working with me, please feel free to send me an email. Visiting scholars and students are also very welcome! Dr. Dingwen (Devin) Tao is a faculty member in the Department of Computer Science at The University of Alabama. He received his Ph.D. degree in Computer Science and Engineering from University of California, Riverside in 2018, focusing on High-Performance Computing. He obtained his B.S. degree in 2013 from College of Mathematics, University of Science and Technology of China, majoring in Information and Computing Science. Prior to joining UA, he worked as a R&D intern in the Computational Science Initiative Division at Brookhaven National Laboratory, Mathematics and Computer Science Division at Argonne National Laboratory, and High-Performance Computing Group at Pacific Northwest National Laboratory. Dr. Dingwen Tao's current research interests include High-Performance Computing (HPC), Parallel and Distributed Computing, Big Data Analytics, Scientific Data Analysis and Reduction, Extreme-Scale Fault Tolerance and Resilience, and Large-scale Machine Learning. He has published in the major HPC and Big Data related conferences and journals, including IEEE BigData/CLUSTER/IPDPS, ACM HPDC/PPoPP, ACM/IEEE SC, IEEE TPDS, IJHPCA, etc. He has been closely working with many teams and scientists from Argonne National Laboratory (ANL), and Brookhaven National Laboratory (BNL), and Pacific Northwest National Laboratory (PNNL). His research has been supported by Xilinx. The University of Alabama achieved Doctoral Universities – Very High Research Activity status, formerly known as the R1 category, in the Carnegie Classification of Institutions of Higher Education update released in December, 2018 (the first time in history). This is the nation’s highest level of research activity for institutions that grant doctoral degrees. Research funding, research staff and the number of doctoral graduates are among the criteria used in determining Carnegie classifications. UA Computer Science program is ranked in 301 - 400 among worldwide CS programs according to the World University Rankings 2019 released by Times Higher Eduction (THE). I am affiliated with Alabama Water Institute (AWI), Remote Sensing Center (RSC), and Center for Complex Hydrosystems Research. More details about me can be found in my CV. 04/2019: One paper has been accepted for publication in ACM ICS'19. The acceptance rate is 23.3%. 04/2019: Welcome Cody to join HiPDAC lab! 03/2019: One paper has been accepted for publication in ACM HPDC'19. The acceptance rate is 20.7%. 03/2019: I will serve on the technical committee member for IEEE HiPC'19. 02/2019: Congratulations to Jiannan Tian for the summer internship offer from National Water Center (NWC)! 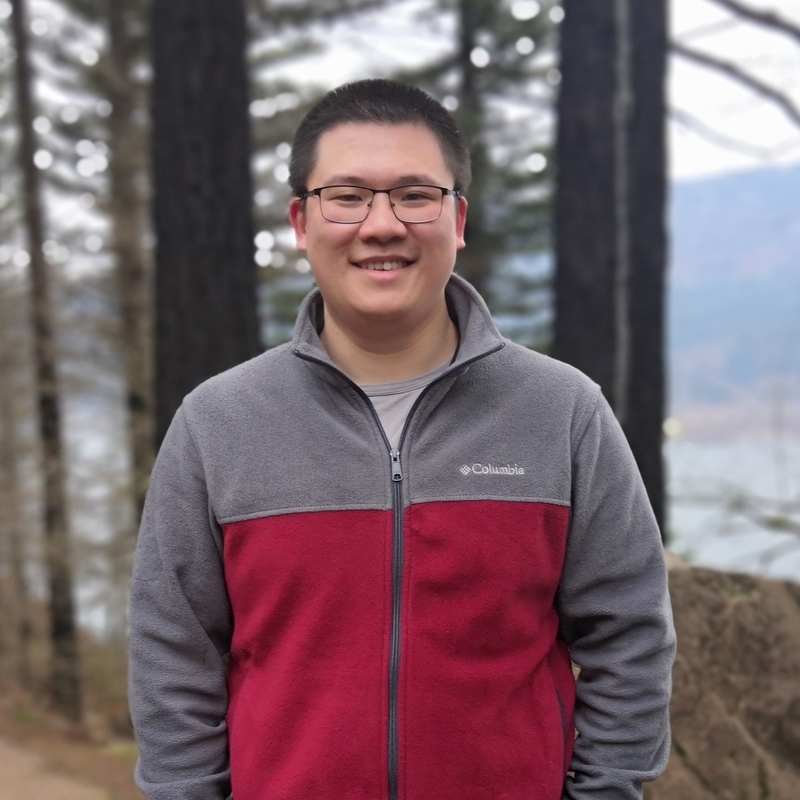 02/2019: Congratulations to Sian Jin for the summer internship offer from Los Alamos National Laboratory (LANL)! 02/2019: One paper has been accepted for publication in IEEE MSST'19. The acceptance rate is 29.6%. 01/2019: Welcome Jiannan to join HiPDAC lab! 01/2019: One paper has been accepted for publication in IEEE TPDS (Transaction on Parallel and Distributed Systems). 11/2018: We got a $4,000 hardware and software donation from Xilinx, Inc. Many thanks to Xilinx for supporting our reseach! 11/2018: We got a funding support to attend 2018 SRP Workshop, which will be held on December 3-4, 2018 at Berkeley Lab. 10/2018: One paper has been accepted as regular paper for publication in IEEE BigData'18. The acceptance rate is 18.9%. 09/2018: One accpeted paper was awarded as Best Overall Paper in IEEE Cluster'18. 08/2018: Welcome Sian to join HiPDAC lab!. 08/2018: Two accpeted papers have been selected as Best Paper for each track in IEEE Cluster'18. 07/2018: One paper has been accepted for publication in IEEE TPDS (Transaction on Parallel and Distributed Systems). 07/2018: Three papers (two full and one short) got accepted by IEEE Cluster'18. 06/2018: I will serve on the technical committee member for IEEE HiPC'18 and IEEE eScience'18. 06/2018: One paper have been accepted for publication in IEEE/ACM SC'18. The acceptance rate is 19.1%. 03/2018: One paper have been accepted for publication in ACM HPDC'18. The acceptance rate is 19.6%.